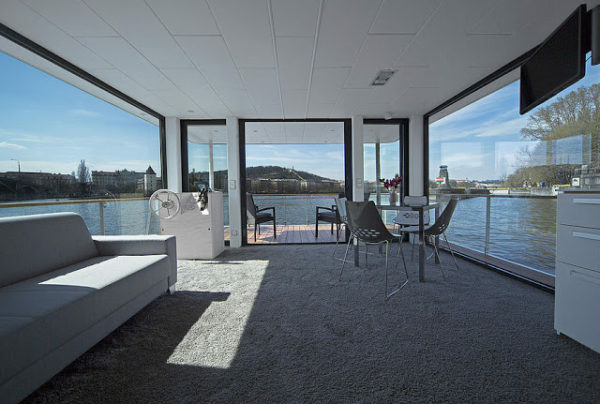 Because when you go houseboating, you want to be able to lay out and just look up a the sky, whether its a night sky for the stars or to catch a few rays in the heat of day. 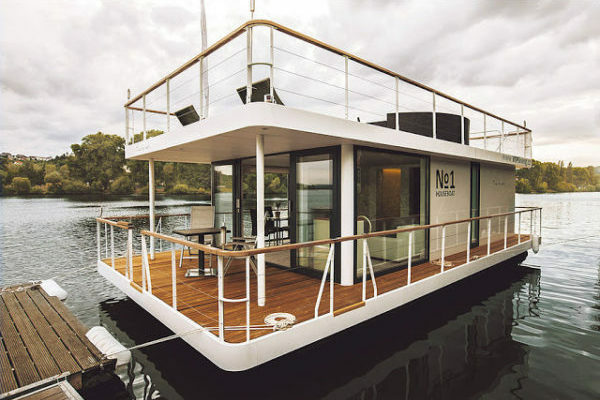 That’s why rooftop decks were invented, and this houseboat by No1 Living has it. 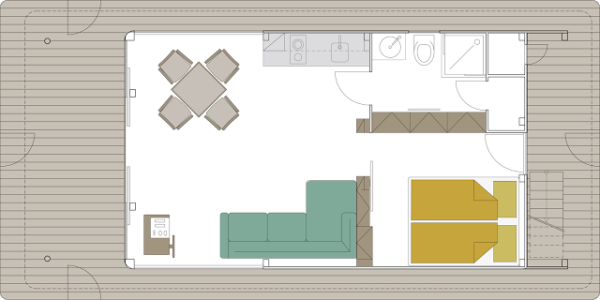 This 40 foot one has 323 square feet, but they also make a larger, 47 square foot model.